Christine Morris has been sent to Edinburgh to attend a conference on the latest in police methodology. There she is tracked down by the Northern Constabulary, Stornoway, Outer Hebrides, who inform her that her estranged mother has been involved in a vehicular homicide and has gone missing. Reluctantly, Christine agrees to fly up to Stornoway, where her mother was last seen. Her arrival is followed by the suspicious death of one of the islanders. What unfolds is a deepening involvement in the life of the community, an unexpected reconnection with her mother, and a nefarious plot against one of the young princes, who is planning a visit to the island. Set against the backdrop of a breathtaking landscape and a people who are fiercely proud of their traditional way of life. 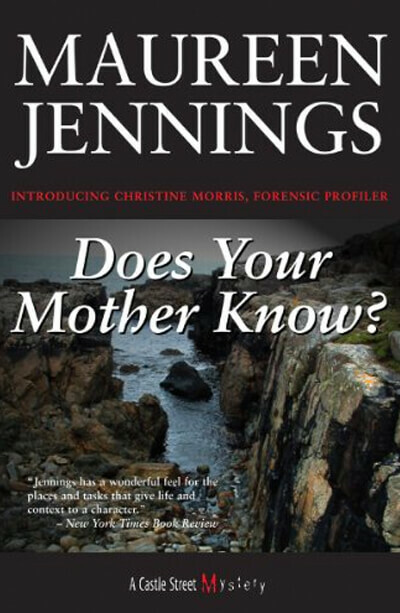 Does Your Mother Know? races along to a galloping finish in this complex tale of suspense.